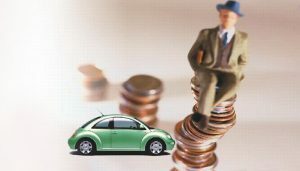 According to the latest auto finance data, in 2017, the penetration rate of China’s auto finance has reached 35%-40%, which indicates that a large part of China’s annual auto transaction volume is achieved through auto finance loans, and this The ratio will show an increasing trend in the future. The reason is because social development and progress, people’s living conditions are increasing, people’s demand of Gps tracker for loan car is upgraded and the threshold for car purchase is greatly reduced. The vehicle loan processing procedure is convenient and fast, the down payment amount is low, and the method is flexible and diverse, becoming the most popular car purchase method, then we can open the market of Gps tracker for loan car. Although this is a good thing for most car consumers, on the other hand, for auto finance companies, it means that the risk of car loans has increased greatly. These risks include market risk, management risk, credit risk, fraud risk, etc., especially after the loan is more difficult to control, which has become the most headache for auto finance companies, so Gps tracker for loan car can be popular later. Car GPS locator can effectively reduce the risk of vehicle mortgage loans. By installing a Gps tracker for loan car, the location of the vehicle can be monitored in real time and risk warnings can be made. When a lender illegally uses a vehicle and attempts to evade a loan, the GPS locator can keep track of the lender’s movements at any time, thereby making timely preventive measures or recovering the escaping vehicle. For almost all auto finance companies, risk control is the core competitiveness of enterprises, and GPS risk control measures are one of the most important means to ensure the effectiveness of risk control. With the help of GPS positioning terminal and risk control management platform, it can accurately judge the authenticity of the lender’s information and supervise its standard use of the car. Once the lender fails to perform according to the contract, Gps tracker for loan car can terminate the contract in advance and demand repayment to avoid risks. When the vehicle exits the safe area, or the pre-installed positioner is removed, the car loan company management platform will receive an alarm message and warn the lender to avoid the risk of vehicle loss and secondary borrowing.